When I run my workshops, in addition to the Stampin’ Up! benefits the hostesses can earn, I like to actually take a little time to thank the hostesses in my own way. Each workshop and each hostess is a little different from the last or the next, so my gifts tend the alter as well. Occasionally I’ll throw in a voucher for extra product, sometimes I will make a little something special, other times it might be chocolate. Each hostess also receives all the items I demonstrate at her workshop. For that reason, I tend to arrange a workshop for the individual hostess – if she scraps, what size does she use? If she is a cardmaker, what techniques would she like to see. It’s something that I like to do so as many of my hostesses are repeats or have come from another workshop – who wants to see the same things done again and again? And we all know that for every 101 ideas out there, there are a billion and nine more to come. But what about the wonderful guests that come along to the workshops? That make orders? That go on to book a workshop of their own? As a small business, these people are every bit important to me as the hostesses. Hostesses do have a fuss made over them, because, well, they deserve to – having made the effort to get friends and family along for a fun time, usually having done a spot of housework here and there and perhaps organised some nibbles, it IS important to say thanks. But in most cases, the workshops are a success not just because of the hostess and her efforts, but also because her guests have made the time to come along and have some fun too. Some have never crafted before, others have and are looking for a fun way to spend an evening or an afternoon. Some go on to place orders – and as a demo I’m always thankful for that! So I like to take a moment to say thanks to the guests that come along too. Those that place orders all receive a little handmade thank you, and a tip sheet or newsletter with more information on how to use the product or products they have just purchased. 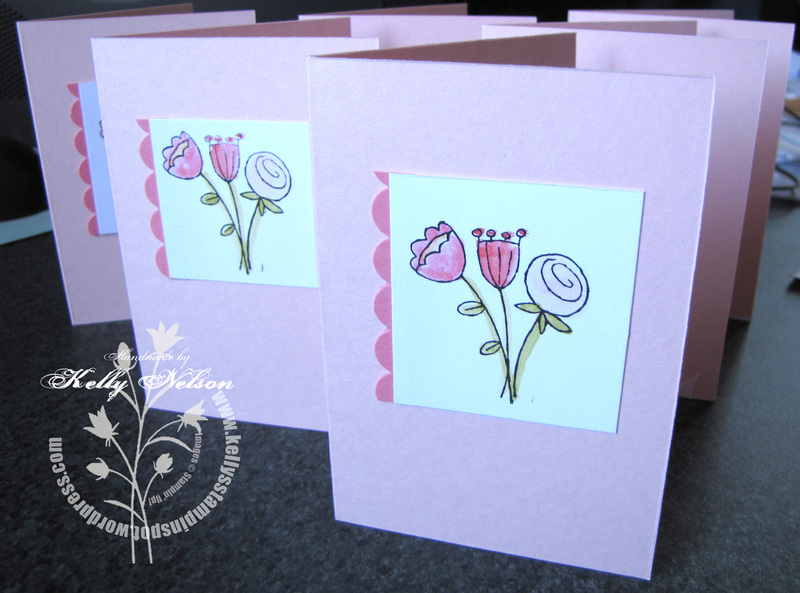 This month I’ve had fun making set after set of thank you cards – I love Sale-A-Bration time! 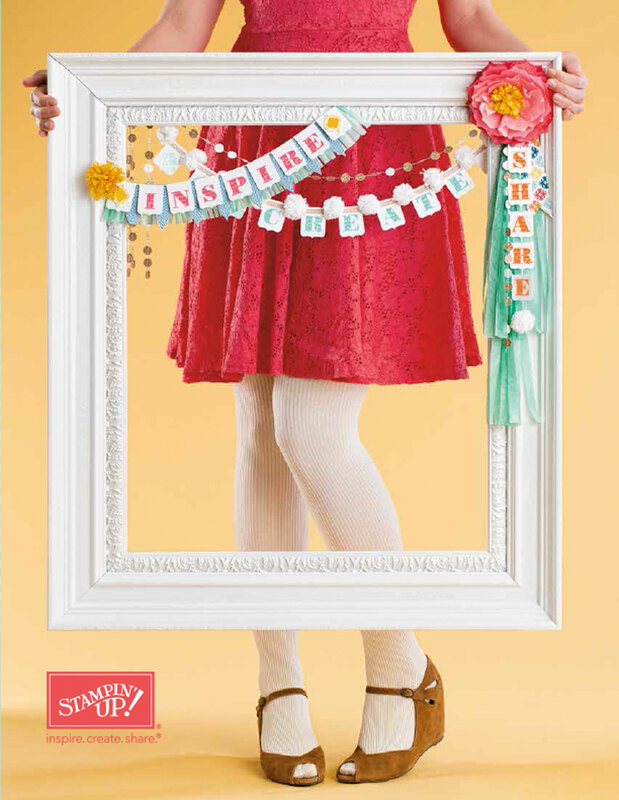 Here’s a peek into one little batch – using the Happy Moments SAB set. It’s a fantastically useful wee set to have! For every $50 in product you order, you’ll get one entry into the Virtual Workshop Hostess draw. $50 = 1 entry, $100 = 2 entries and so on. If the total of the workshop reaches $350, first prize will be my Virtual Workshop Hostess – drawn randomly – and you will get to pick the hostess set you would like AND the $35 of hostess benefits. If the total of the workshop is less than $350, first prize will be the Level 1 Hostess set “Organic Grace” and if orders total at least $120, a second prize will be an SAB set. There will be one winner, minimum, at the end of the Virtual Workshop. If your orders total $120, you will also qualify for a Sale-A-Bration set – you must name the set you would like to ensure I order it with your order. To qualify, your order must be at least $50 in product before shipping, and I must have received it and payment prior to March 25. Orders will be placed on March 26 and will be distributed from me once I have received the shipment. Orders will have just the 5% workshop shipping charge and not the $9.95 minimum added to the product total. All order will receive a tip or technique sheet – just as if you attended one of my workshops in person! The Virtual Workshop closes March 25, midnight. So, how about it? Send your order into me via email or give me a call (04) 565 4407 – and have your chance to host a workshop without doing the housework! What better way of saying thanks is there?? !